For the British it was the year of the Olympics. For two glorious weeks handball grew from a sport that could be summed up by one Five Live analyst as “big in Scandanavia but I don’t know anything about it” to one whose final was shown live on BBC 1. It was also the first time that a Great Britain team of either gender appeared in a major championship. They qualified as hosts, lost a combined 10 games, and have now had their entire funding cut. We have to hope that enough people have been inspired by the show in the Copper Box that it won’t take another home Olympics before Great Britain again has the capability to even enter the qualifying tournaments for major competitions. For the Montenegrins it was the year of female glory. Their national team were the dark horses of the Olympics – charging to a silver medal in a sequence of matches that included the wonderful sight of victory over France with an after-the-hooter penalty and then with the world aware of the threat they went one better in the European Championships by beating Norway after two periods of extra time and a substantial amount of nervous tension. Alongside that Budućnost took the women’s EHF Champions League title after a feisty final with Győri Audi. In men’s international tournaments it was a year of bewildering inconsistency. Denmark started Euro 2012 looking like they’d just met each other getting off the bus and ended it champions having beaten Croatia and Serbia in front of a Balkan crowd of startling intensity. Without the home crowd support, Serbia left the Olympics at the group stage whereas France who went the other way in Euro 2012 to Denmark took the title. Croatia always looked about to pounce but never sealed the deal. The World Championships start in January and there must be five teams at least who seriously think they can win. In the club game it was all about Kiel in the first half of the year, Barcelona in the second. THW Kiel marched to the Bundesliga title and then took their third Champions League title in Cologne. They had to work had in the semi final against Fuechse Berlin but then woke up to push aside Atletico Madrid. Barcelona licked their wounds having been knocked out by AG Copenhagen but got a schadenfreude return when the Danes spent the off-season going bust. This season the Catalans are dominating in the Asobal and Europe, Paris are in control in France but the Zebras of Kiel have competition in Germany and trail second in the Bundesliga behind Rhein-Neckar Loewen. Copenhagen have also, after a fashion, emerged again as KIF Kolding. There was also scandal. Say it ain’ so, M Karabatic … Montpellier players were implicated in betting against their team in an end of season match against Cesson-Rennes. In the previous sentence ‘implicated in’ means ‘caught’. The club’s domestic season won’t recover from the farce of the early rounds but they may still have an impact in Europe – it seems however that they and Karabatic will soon be parting. There was another scandal at Euro 2012 when the Serbian coach twice reached out to stop Linn Jorum Sulland of Norway but that was laughed off by the authorities in a not entirely convincing manner. Other titles decided in 2012 include: South Korea doing the double and winning both men’s and women’s Asian Championships; Greenland beating the USA 36:27 in the Pan American Men’s Championship (the title went to Argentina but that’s far less interesting); African championships for Tunisia (men) and Angola (women, their 8th in a row); and in Oceania Australia beat New Zealand 31:10 twice on consecutive days to claim that region’s men’s title (the women get to win next year). Lots of other things happened as well. You should probably look them up. Whilst you’re doing that I’ll be readying myself for the Men’s World Championship – let’s meet again in 2013. UK Sport had no choice but to cut handball’s funding and that’s the problem. Was your favourite Olympic moment when you dialled up one of the extra BBC channels and looked at the medals table? If it was, then I pity you. You’re either the kind of person who sits at the end of the golf club bar talking about how we can still sock it to the foreigners – or you work for UK Sport. UK Sport has one remit and it is a bizarre one. Its funding support is in the direction of winning medals of Olympics. Not world, European or commonwealth titles, not qualification for global events, not any other marker of sporting excellence or popularity. No, the only measure is Olympic success. So no funding for non-Olympic sports and no funding for sports that can’t guarantee medals. That is why the Modern Pentathlon gets £7m because no other country seriously invests in it so setting up an ‘elite’ pathway pretty much guarantees a return when the world (i.e. Sue Barker on BBC1) is watching. That is why rowing is now the most significantly funded sport in their portfolio. Rowing. Now, I love watching the Coxless Fours gunning for glory. But I also know that the only kids – with only occasional significant Redgrave variation – who can access it belong to the fee-paying schoolchildren class. There’s also not such a huge number of countries that row seriously so – heh, presto! – medals. But when you look at handball, basketball, water polo, volleyball and the like (even crowded athletics events like the 100m) then you realise these are globally popular sports will never come with that required guarantee. There’s only one gold available per gender after all. And whilst the British like to think they invented all the world’s sports (and now lose at them) that’s nowhere near being true. I don’t much care for basketball but it takes a special kind of insular Brit to believe it is only popular in the States despite that country’s lock on the gold medal. These sports are mostly straightforward to access and require very little in complicated equipment – they are open to all provided you can get a booking at the leisure centre. Now, we turn to handball. I strongly believe that most people in this country still don’t get quite how popular handball actually is outside the English speaking world (I’m also coming to the opinion that a lot of international handball organisations themselves also don’t quite get it either but that’s by the by). So whilst we enjoyed the ride in the Copper Box at London 2012 and got to see the handball final live on terrestial TV I suspect some people (and all of UK Sport’s tedious bean counters) were wondering quite why Great Britain didn’t win a match. Just one measly match. Handball has been here before, of course. Long before this jonny-come-lately started watching. There was no money for anything in 2005 and now we have significant investment from Sport England that will sustain the participation increase noted since before the Olympics which has accelerated since then. We’re not ever going to be as big as the game is across swathes of Europe but without support for internationals it’s difficult to see how we’re going to be able to properly test ourselves against them either. And that’s where the UK Sport approach fails. It works rather brilliantly when you identify either a sport without mass global appeal (which applies to none of the Olympic team sports) or where investment in a handful of athletes can be all-but guaranteed to put you ahead of Australia in the medals table. But it can never work when its turning mass participation sports which are easy for kids to access into competitive and respected international opponents. The downside to this year’s Olympics was the snide undertow of the otherwise wonderful patriotism that accompanied Team GB. Unfortunately it is that snide undertow that UK Sport are told to encourage and for which they must direct funding. By every measure they use their decision to withdraw all funding from handball was entirely correct; by everything that is magnificent about sport it was, to use Danny Baker’s phrase, the decision of soul-less pinheaded weasels. The news that UK Sport will be committing the same £580m to the Rio games that it put into the performance programme for London is, of course, good news. The fear was that despite a haul that makes Beijing and every Olympic games since 1908 look like a bit of a flop that there would be no money to continue the push for glory: austerity would trump glory. The other good news from London 2012 is of course that handball, given the chance to be put in front of the British public, was the break-out sport of the games. The Copper Box rocked. Journalists from the Times, the Telegraph and the Guardian came, saw and left enrapt. Radio 1 DJs did the same. Despite GB not winning they competed hard and earned some rightful plaudits. When the finals came they weren’t shunted to the red button they were on the main channels. The finale to France’s gold medal performance against Sweden was introduced live on BBC 1 by Sue Barker. In the afterglow social media buzzed with new clubs, taster sessions, email enquiries taking hours to answer. So many positives. From not existing when London was awarded the games to a team and a sport etched clearly in the public consciousness. From no British players anywhere to Holly Lam-Moores at Danish elite club Viborg, and others besides. The daydream has this as a foundation. All UK Sport need to do is cough up the dough to continue at any level. But, of course, it is far from being that simple. UK Sport’s money is performance based. It is a carrot attached to a stick of toughest steel. Only medal prospects or sports capable of meeting performance targets keep their funding. The rest scrabble around until they can ask again. Handball had its funding slashed in 2009 but had the same performance targets kept in place. It will now be assessed against these and future Olympic medal potential. The only way Great Britain, either men or women, will qualify for the 12-team 2016 games is if they host a qualifying tournament and don’t tell anybody else where it’s being held. There are minnows in handball that Great Britain could beat but there are so few spots open to qualifiers: the route for most is through continental and World championships. UK Sport will not be offering further support to handball if the sole target is a good performance in the next Olympic games. But what is true for Rio need not be true forever. 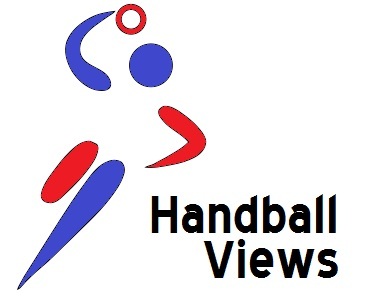 Handball has great potential to be the sport of choice for a significant number of people. It is an obvious choice for anybody looking at offering competitive sport to boys and girls. If you’re a rugby or football club looking to build stamina, strength and agility it’d be a great game to add on in training. Whether that creates enough of a base to build a competitive national side out of I doubt anyone could say, especially given that by an ironic accident of geography Britain are stuck in the European federation rather than, say, Oceania, and so will take beating after beating from established nations as they learn the game more fully. So the challenge can’t and shouldn’t be to get back into the Olympics for 2016 and compete for a medal. If that remains UK Sport’s sole measure then we can expect big-up funding for rowing and athletics where medals rely on the brilliance of an individual or a small group rather than team sports that require a pool of thousands from which to draw the cream. The argument may be made that with seed funding now we can push for 2020. Eight years is a long time but the teenagers inspired now will be mature enough to compete on the world stage then. It would seem a realistic aim but unlikely to be significantly rewarded. Handball will need to draw even more heavily on Sport England, Awards for All and the handful of other participation-based funding ‘opportunities’ that may or may not exist once George Osborne’s austerity axe has swung. There is hope though. The passion for the game amongst its volunteers, its clubs and its supporters is real and was already leading to massive leaps in participation before the Olympics. The people involved in leading the sport have – to this outsider at least – shown remarkable nous in the years since London was awarded the games. Perhaps naively I’m confident that we are not heading back to the darkness of the world before 2005. This next chapter for handball in Britain is going to be tough but it’s also going to be worth watching and, if you can, being part of.